Her one woman show “Hooked” started as a private performance in people’s home and eventually made its way to the Fringe Festival in Edinburgh. “Hooked” won the SpringWorks’ 2016 People’s Choice Award. 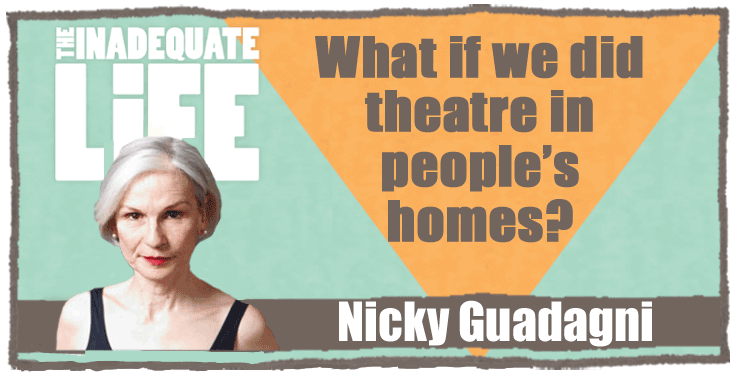 In the podcast we talk about acting, producing at festivals, her training at the Royal Academy of Dramatic Art, and of course our lives as parents. I don’t know what part of our conversation I enjoyed most: Learning about her youth in Montreal, the creative process behind her hit show “Hooked,” or how she and her husband dealt with their teen aged son who spent way too much time playing video games, and online poker, but then turned that into a career. Sweeney Todd at The Shaw Festival with Nicky’s daughter Tess Benger in the ensemble. “Hooked” at the SpringWorks Festival in Stratford. Check out episodes that also mention acting, Fringe, Montreal, Toronto.